Thus begins the novel that found my husband and then found me. Searching for a book by Robert Frost, he accidentally stumbled across this book by J.J. Hebert whose main character is named James Frost. After reading the book in one day, he urged me to read it so we could discuss it together. I am so glad I did! It’s no accident that the message of this book came along to me at such a time as this. Nor is it an accident that I “just happened” to be beginning a Bible Study on the “in your face” book of James. 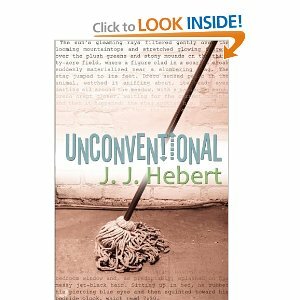 Without spoiling anything for you who wish to read Unconventional (it is currently on sale as an e-book on the Kindle for $.99 at Amazon), I will say that Hebert’s debut novel encouraged me to really think about the way I “do” life, in a good way. How many times have I seen people in my day to day life without really seeing them…or, at worst, being annoyed by them? The grocery store clerk who seems to be wading in molasses. The mail lady who folds and crams “Do Not Bend” envelopes in our mailbox instead of bringing them to our door. The garbage men who leave the top of the trash can flipped open instead of closing it on a rainy day. The mature woman with a stooped back who pushes the cleaning cart into the only free stall in the public restroom. Am I truly loving my neighbor as myself? Jesus was one of the most unconventional figures in history. He bucked tradition that said an eye for an eye…and then he told us, “Follow Me.” He bucked tradition that said be kind only to those you love and demonstrated love through the parable of the Good Samaritan….and then he told us, “Follow Me.” He repeatedly admonished his followers to remember the poor, to turn the other cheek, to give to those who are in need. How ironic is it, then, that at Christmas when we celebrate the birth of our Selfless Lord, we as a nation stampede to the stores to buy stuff for our families and ourselves? Are we buying gifts for those who are in need? Or is our Christmas budget filled to the brim with goodies for each other? These questions are difficult for me to swallow. I come from a strong gift-giving tradition at Christmas. As a child, I circled toys that I wanted out of the Sears Wish Book and pouted if some of what I circled didn’t end up under the tree. As a mom, I’ve spent and spent and spent for my child and for my nieces and nephews. Why? Because it’s traditional to celebrate Christmas by giving gifts. I’m ashamed at the root of my soul to admit that somehow lately it seems the more lavish the gifts I give, the prouder I somehow feel. How did purchasing a Barbie Dream House for my child demonstrate my love for Christ? I’m not knocking your traditions, whatever they are. I am questioning my own traditions in the light of scripture and in the promptings I’m feeling in my spirit. When my daughter was younger, we made gifts together and sent those as gifts to our neighbors and extended family, but even then I didn’t feel as if those were the “true” gifts and ended up buying other things in addition to the gifts we made. Why? One of the main reasons is because I didn’t want the gift recipients to think that I thought any less of them (as if spending more equates more love?). I also didn’t want them to think that I couldn’t afford to buy a gift (although many years of our marriage I really couldn’t afford it, but did it anyway, out of false pride). 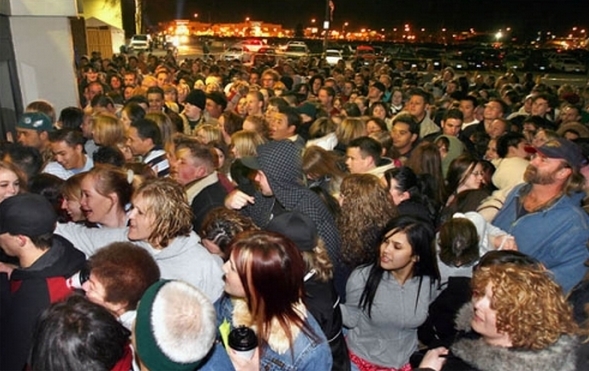 An article today in the Dallas Morning News says that retailers expect $20 BILLION in sales over the 24-hour “Black Friday” shopping extravaganza. If you are purchasing gifts for your family anyway, sure it’s a good idea to purchase them at the lowest price possible. I have an aversion to large crowds and avoid stores on Black Friday like the plague that they are (just thinking of all the germs circulating in the stores makes me want to break out the hand sanitizer! ), but usually I shop in my PJs online to take advantage of the specials. It’s certainly conventional to take advantage of sales. However, for the first time, I’m thinking about being courageously unconventional. Samaritan’s Purse and many other charities provides an opportunity for believers to assist people in need, worldwide. It was surprising to me to learn that $35 will provide food for an entire family for a whole month. A month! And $10,000 is all it takes to provide clean drinking water for a village of 500 families. If just 500 of my friends would donate $20, we could pay for a well and purification system for an entire village. Think about that: clean water for an Entire Village. Jesus spoke a great deal about the Kingdom of Heaven. He also spoke a great deal about money and materialism. We aren’t supposed to store up for ourselves treasures that rust and moths destroy, and that thieves break in and steal. Instead, he tells us to bank our treasures in heaven. Since we can’t actually send our direct deposits to heaven, what did he mean? I recently heard our pastor give a sermon in which he suggested that the Kingdom of Heaven is made up of people. So when we invest in people, we are investing in the Kingdom of Heaven. Yes, giving my daughter a Barbie Dream House invested in her little heart and made her happy for about eighteen point two seconds. Then she played with the box. But giving a donation to help a village build a well with clean drinking water is a gift that will keep on giving! In doing so, I will be the hands and feet of Jesus and may, God willing, be instrumental in showing them what a life of love looks like as an Unconventional Trailblazer following Christ. Hey everfaith, I appreciate your blog.